Every year “White Armband Day” takes place on 31 May, the anniversary of the start of the campaign of ethnic cleansing which took place in the town of Prijedor, northern Bosnia-Herzegovina. Bosnian Serb authorities issued a decree on local radio ordering all non-Serb citizens to mark their houses with white flags or bedsheets and to wear white armbands when leaving the house. This began campaign of extermination. 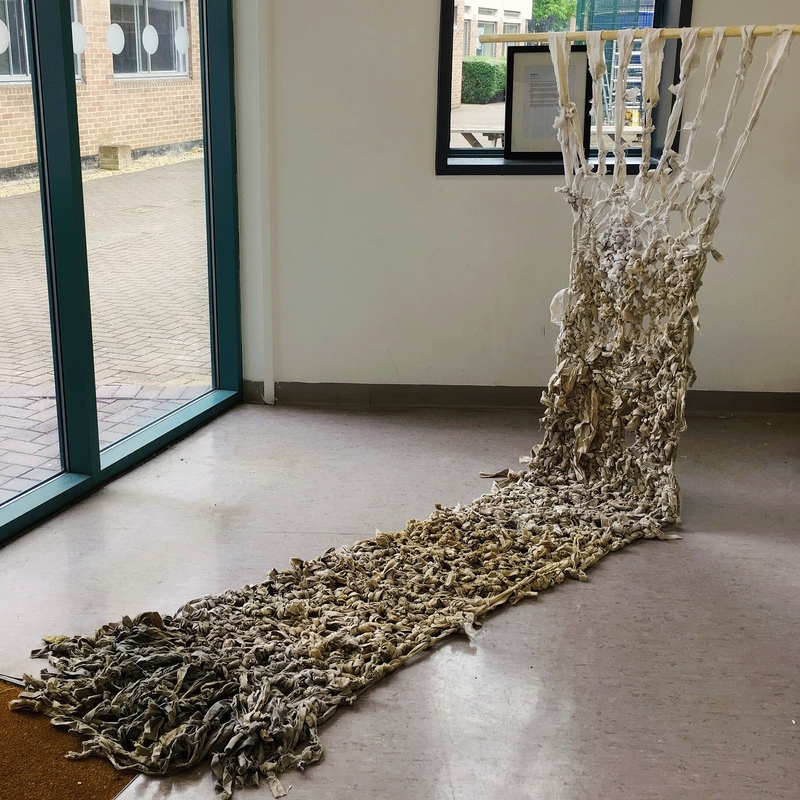 To mark this anniversary I have been given the opportunity to exhibit ‘Lie Down’ within the entrance to the art department at City of Oxford College for 4 weeks during their end of year shows and the run up to the end of the summer term. This is a fantastic opportunity to reach a new audience some of whom may have been around in 1995 but would have been too young to know anything about the war in Bosnia. It is on display until 22nd June.